The book trailer for A Boy Back from Heaven is now on YouTube. Please take a minute to check it out and share with your friends. Many people have questioned what comes next. More and more people have had experiences that they describe with emotional words such as love, beauty, and hope. People from the very young to the very old. Many of the experiences share visions of pure and profound peace. These stories have been embraced and debated for decades. One thing remains constant, the people who have had these experiences feel so passionately about what they saw and felt. I have always been taught and feel strongly about the fact that each and every experience that happens to us is from God. He has our lives planned before our first breath. People who see visions of what they can only describe as "heaven" or "heaven like" have had these experiences because God has it in His plan for their lives. We can only hope that by choosing to share their visions it can bring hope and a small glimpse of something that was humbling and powerful. Matthew's story is one of simple description of what his little body felt and his eyes witnessed. Is it the final answer for what comes next? That is up to each individual to decide for themselves. A Boy Back from Heaven shares his brief journey and the profound impact it had on our family. There were no over the top visions of fairy tales. Just a walk that was filled with complete safety and pure joy. It shares how we were brought closer to our faith at a time when most people would question why a loving God would bring such horrible atrocities to a small child. When the only thing I could hold on to was prayer and faith, God picked me up and carried me at a time when my legs could no longer hold me. I was weak with fear of what was to come for my little boy. I am grateful, strengthened, and hopeful. This boy is amazing! Honor student, servant, co author of his life story, and chef! 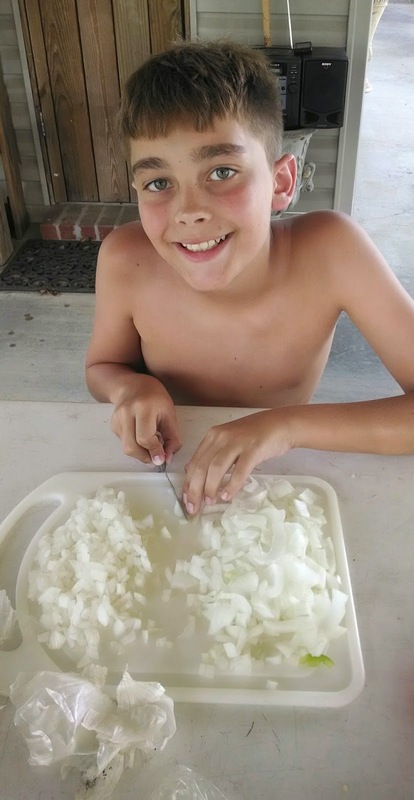 He is cooking up an awesome South Louisiana jambalaya for family today. Yum!! Sometimes I find myself wondering what is the purpose in all of it. Why was this path chosen for me? Why can't I just have a grass lined, brick filled path to stroll easily down? Then I realize, that is not a question for me to ask. This is the path that was destined for me by Him. I may never have a full understanding. I simply see the strength to continue to put one foot in front of the other. Just when I think a corner has been turned and things should settle for a bit, something else always wallops me on the side of my head. This has been one of those weeks that I just want to bury my head in the sand for a few days and emerge when all is well again. Honestly, I know that will not happen. I just have to keep trying to find solitude where I can. 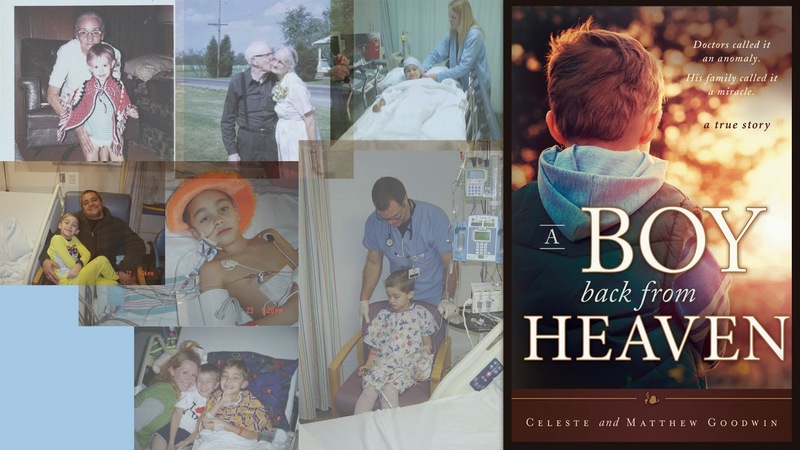 Writing Matthew's story in A Boy Back from Heaven proved therapeutic in many ways. Sometimes I find myself picking up the book just to have a reminder of how far we have come as a family. We still have many mountains to cross personally and medically, but I have to find resolve in my heart that it will all work out.